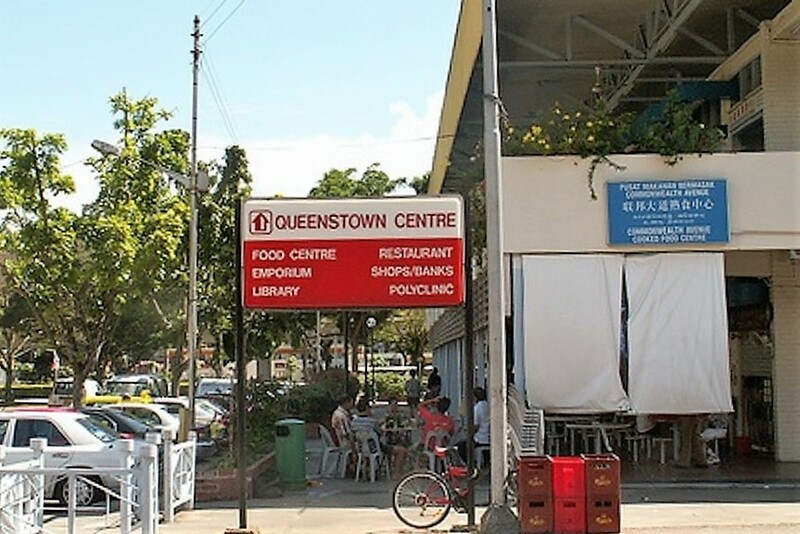 Margaret Drive’s Queenstown Library was where I used to borrow books (maybe this will reveal my age). 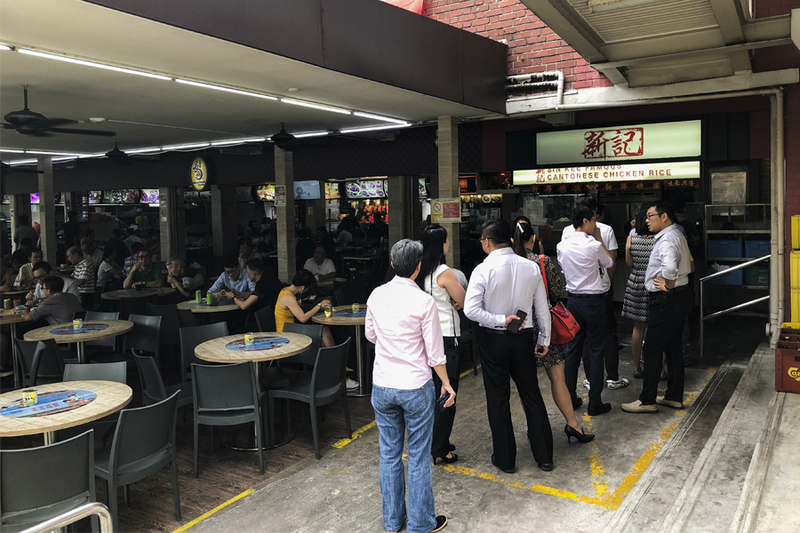 The joy continued with a meal at the food centre opposite, and the staples would usually include popiah, pan-fried dumplings, and yes, Sin Kee Chicken Rice. 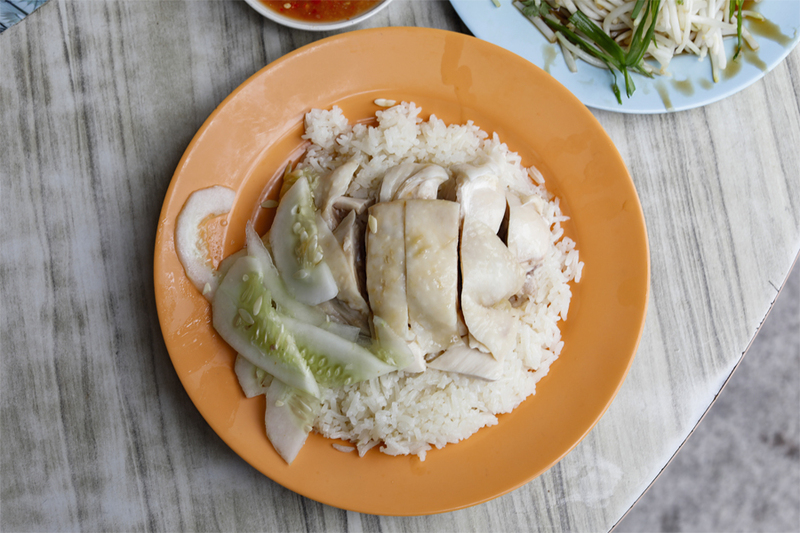 Sin Kee is a well-known name among chicken rice stalls in Singapore, mainly serving poached chicken rice Cantonese-style. 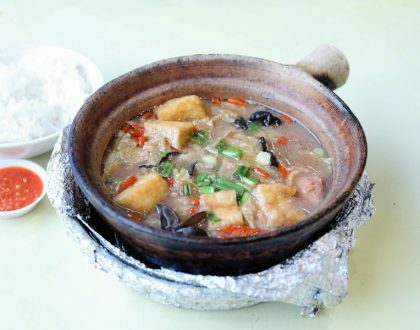 It garnered more attention when it earned the distinction Bib Gourmand awarded by Michelin Guide in 2018. Truth be told, there are a couple of “Sin Kee” around that I am not too sure which is the original. But perhaps it doesn’t matter that much now. 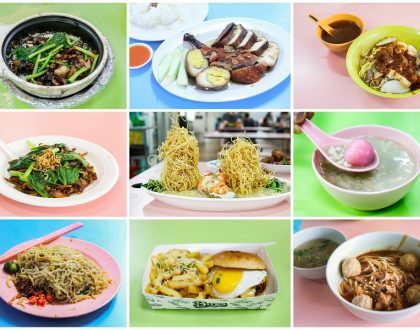 Founded in 1971 as a hawker stall at the now-defunct Margaret Drive Food Centre, it is a family business owned by a certain Mr. Leong. His 2 sons, Niven and Benson, took over after he passed away in 2008. 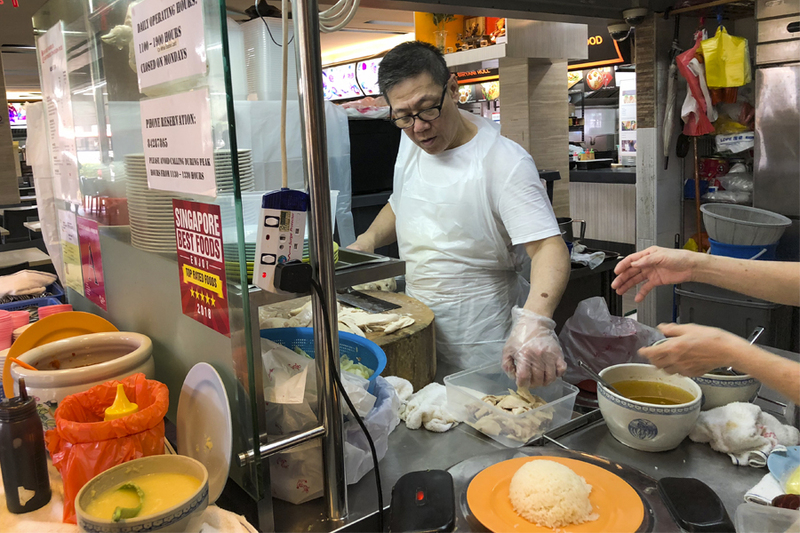 Niven sold his late father’s famous chicken recipe, and now operates his own Uncle Chicken Rice at the Alexandra Village Food Centre. 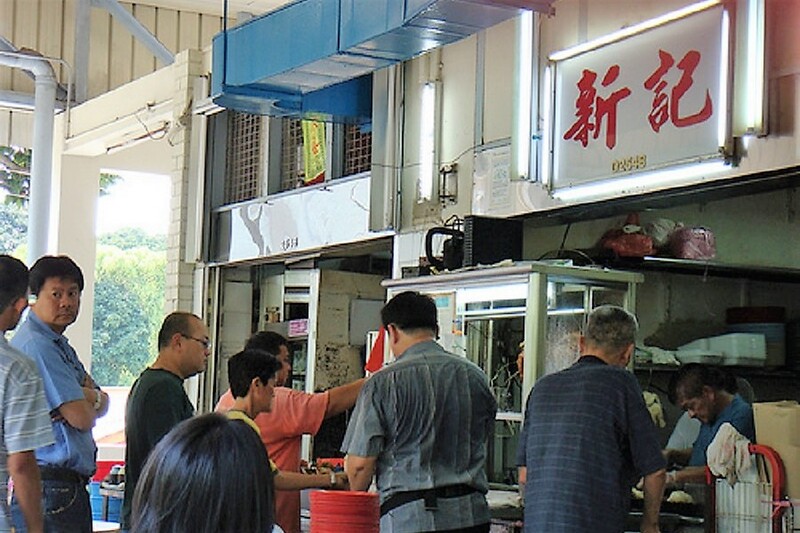 Meanwhile, Benson continued operating Sin Kee, which moved to Mei Ling Food Centre, until 2015. 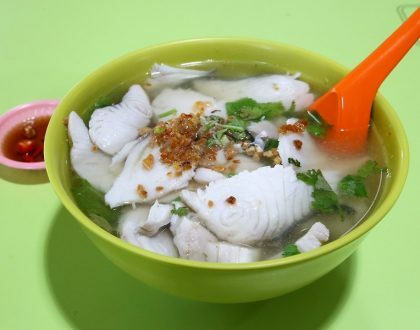 A year later, he and business partner Edwin Goh re-opened Sin Kee at Holland Drive where it is currently located, tucked at the corner of Chang Chen Mee Wah Coffee Shop. 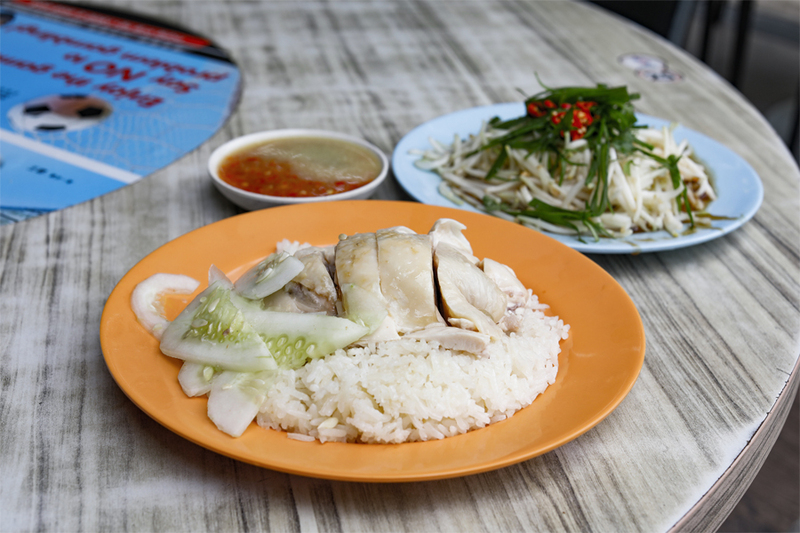 The flagship item Chicken Rice ($3.50, $4.00, $4.50) is the most popular in the menu line-up. 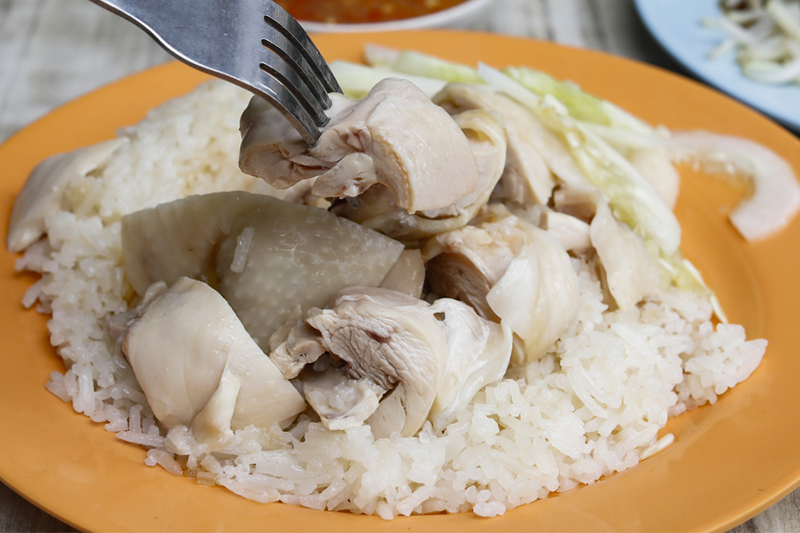 What makes diners constantly coming back for more is essentially their signature dish Chicken Rice, all chunky slices of chicken meat served with a plate of flavourful yet surprisingly, not as oily rice. 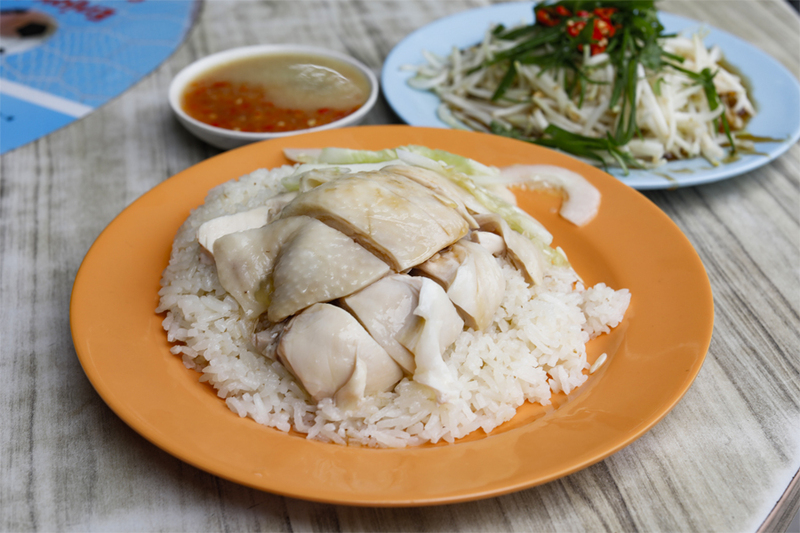 Sin Kee’s chicken are poached in a flavourful stock using chicken bones and other seasonings, to produce chicken that’s tender, smooth-skinned, succulent, and evenly cooked through. An interesting method is that the chicken is plunged in icy water to “shock” the poultry. This cooking method results in a meat that is ‘crunchier’ and in a skin that is smoother. It also creates the gelatinous film just beneath the skin which many find delectable. 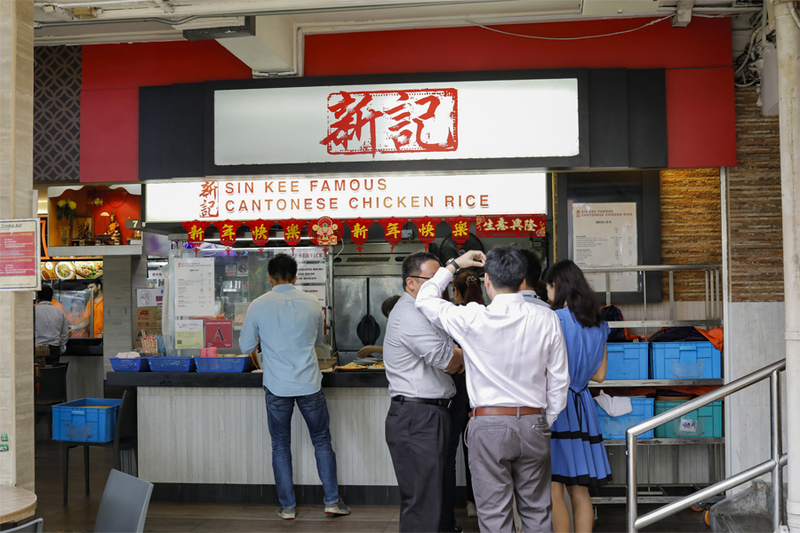 Note: As per Sin Kee’s tradition, there is no soup served along with Chicken Rice. The flavourful chicken broth went into the poaching of chicken and cooking of the rice. If you do prefer a specific part of the chicken, you may order the Chicken Drumstick Rice ($4.50), Chicken Thigh Rice ($4.50), or the Chicken Double Wings Rice ($4.50). 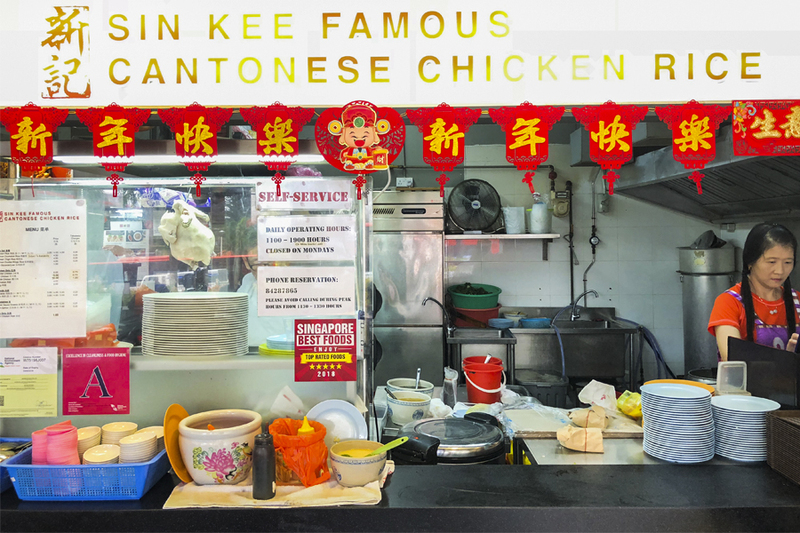 Others may argue the chicken is good on its own, but for those who need more flavour in their dish, Sin Kee serves condiments on the side: soy sauce, chili sauce, and its Cantonese-style ginger dip – which makes the chicken meat refreshingly better. The ginger dip uses both young and old ginger, house-made grated and prepared watery with a gentle spiciness. The chilli sauce, made with lime and vinegar, is sharp, tangy, and spicy. 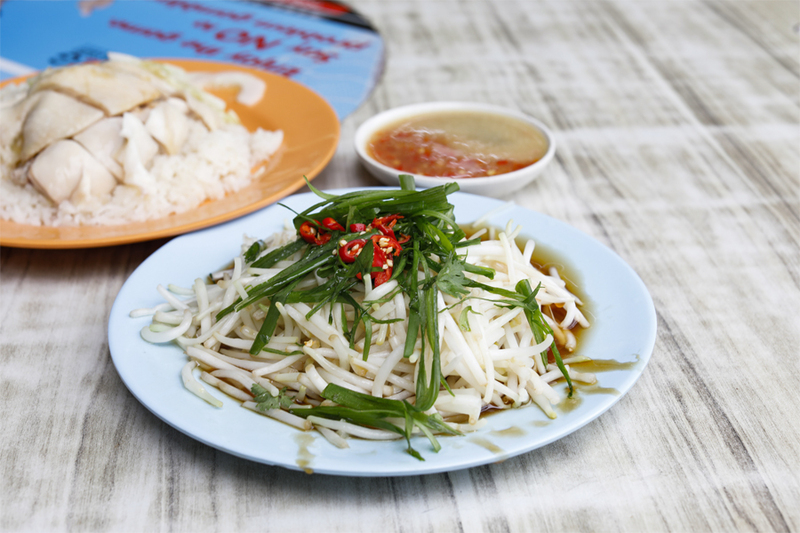 Although the core item in the menu is Chicken Rice, Sin Kee offers a couple of vegetable dishes and innards as side dishes. Oyster Sauce Greens and the crunchy Bean Sprouts which is a must-order follow similar pricing ($3.00/$4.00/$5.00). Come as early as you can as many dishes are gone by late noon. Plan ahead as the stall is closed every Monday. 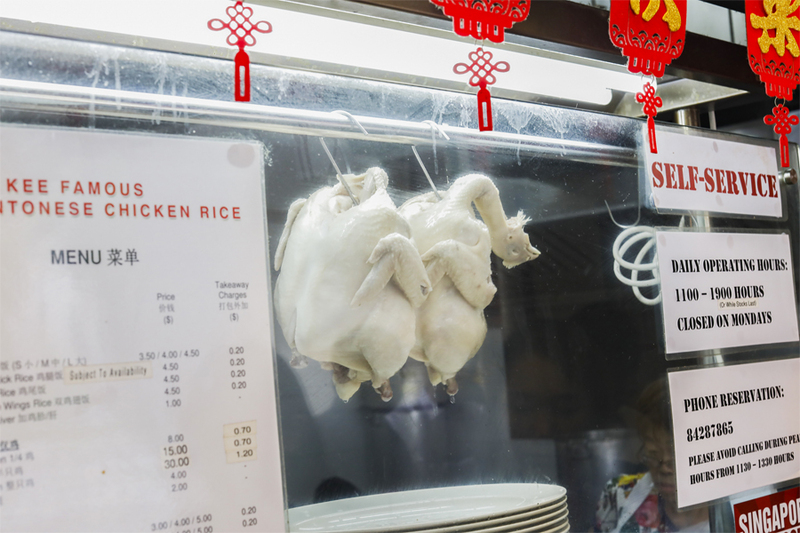 After so many years, the authentic flavour of their Cantonese-style chicken has remained almost the same, attracting both loyal patrons and foodies exploring that time-tested taste.